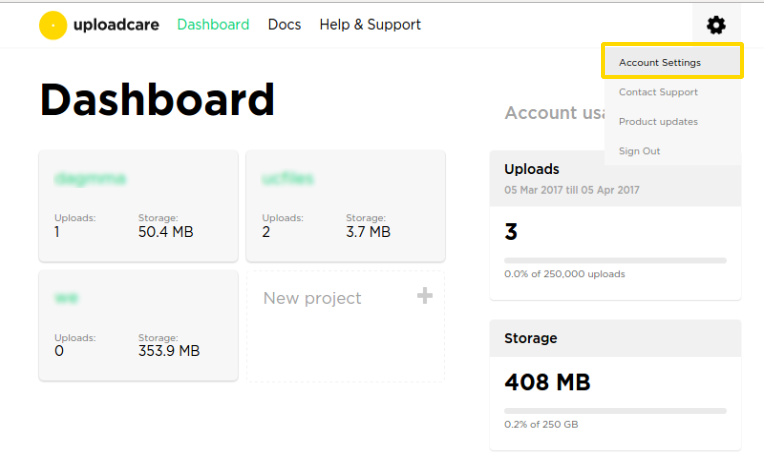 Uploadcare storage supports uploading any type of file, even for accounts that are on Free plan. However, it is easy to abuse the service by uploading illicit content, so we ask our users to pass security check. The easiest way for us to verify identity of an account holder is to capture billing details. 1. Log-in to your account and open the dashboard. 2. Click on Account Settings as shown on picture below. 3. 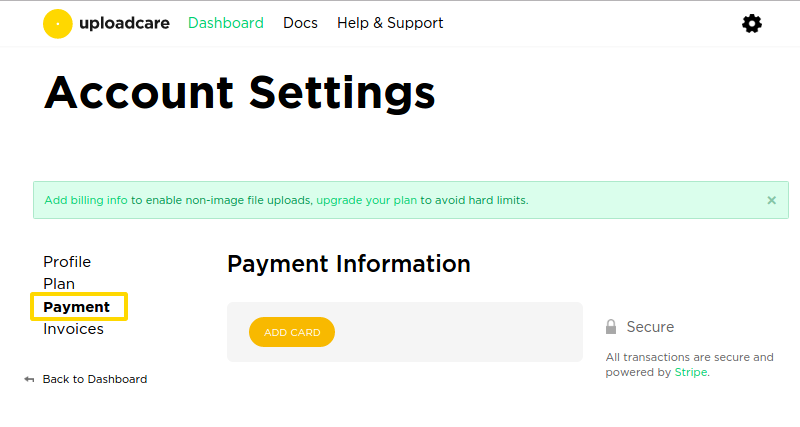 Navigate to Payment item on the left menu and click ADD CARD button. Alternatively, you can reach Payment menu by following this link. 4. Enter your payment card details and click Save. During the procedure, we charge and refund $1 to check the validity of your card. As long as you stay on Free, there are no charges whatsoever.. As long as you stay on Free plan there are no charges whatsoever. 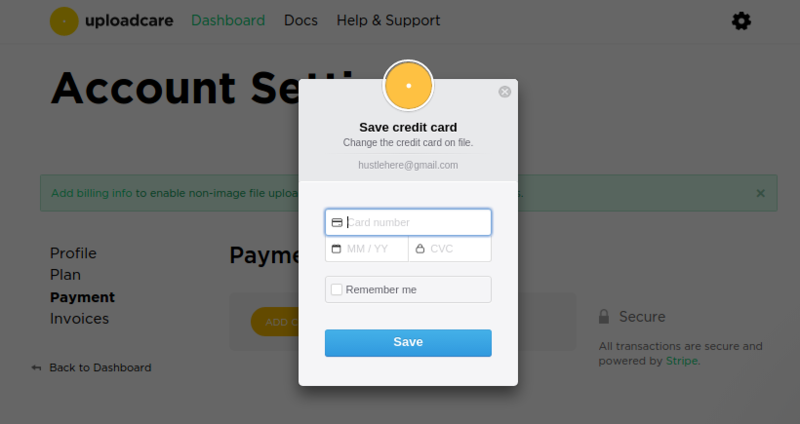 Once you successfully add your payment card you will be able to upload any type of file. Billing information better identifies our users and prevents them from uploading viruses and illegal material. If you need help or have any questions please contact our support.